Whether you’re sharing your passion with your kids or being around horses is something new for the entire family, child safety around horses should always be a priority. 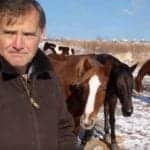 Weighing over 1,000 pounds with a tendency to bite and kick, horses can be dangerous for children who don’t know how to act around them. It will only take one small mistake to cause serious harm, but don’t let the possibility of an accident keep your kids from experiencing the joys of horses. You can teach them to be safe around the barn with a few well-established rules. 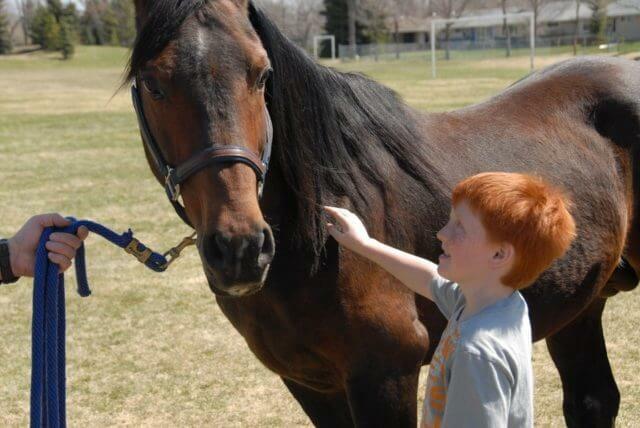 Here’s what your kids should know before interacting with a horse. Regardless of where you are, your child should never run up to an animal they’re not familiar with. Horses have a range of personalities, and you never know what kind of reaction you might get. If the horse’s owner is mounted on the horse or somewhere nearby, teach your children to always ask permission before approaching. The owner will let you know whether the horse is kind or wary toward strangers. 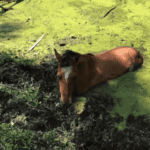 If you can’t find the owner, leave the horse alone. As prey creatures, a horse’s first response to a surprise is always fear. They startle easily, and defense moves like kicking and biting are a natural reflex, not a malicious intent. Before your child approaches a horse, they should calmly announce themselves by speaking at a normal volume and pitch. While horses have great peripheral vision, they have blind spots directly in front and behind them. Approaching a horse from one of those directions can be extremely dangerous. Instead, teach your children to always walk up to a horse from the side. 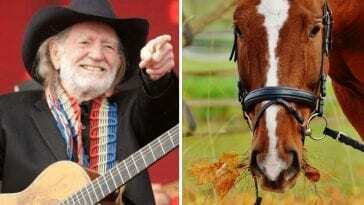 Go to the horse’s shoulder, not their head, for a safer and less threatening greeting. 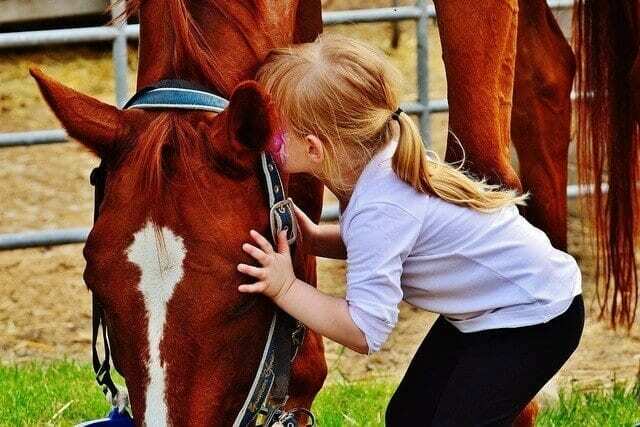 A child’s (and everyone else’s) first instinct when going to pet a horse is to reach for their face. 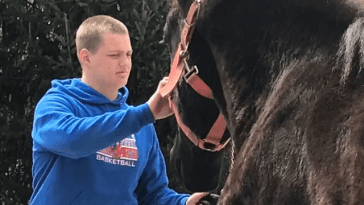 Yes, their noses are the perfect texture of soft velvet and their foreheads seem to beg for a good pat, but a stranger reaching toward a horse’s face can be seen as a threatening gesture. It will only take a moment for the horse to crunch its teeth around unsuspecting fingers. The shoulders and neck are a much safer option—and just as satisfying. It doesn’t matter whether the horse belongs to your child or to someone else, they should never let their guard down. Horses move fast and suddenly, and their powerful bodies aren’t always mindful of what—and who—is around them. Teach your children to never sit on the ground when caring for their horse’s hooves. They should always squat so they can get out of the way quickly. 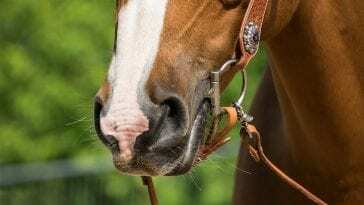 You can also teach them horse body language so they can detect subtle changes in the horse’s mood. Above all, make sure you and your child are ready to take on the responsibility of a horse. If you want to get them a horse of their own, choose one that is age appropriate and take an active role in its care. 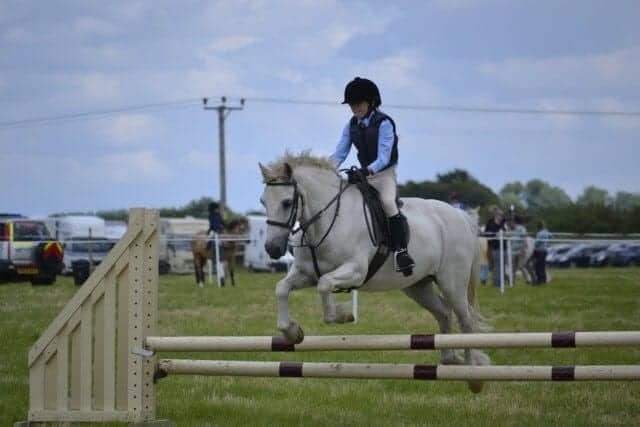 With the right rules and proper supervision, there’s no reason why your child shouldn’t grow up with a love of horses–it’s even been proven to boost their intelligence!